If you are selling auto parts online, you should be aware of a scam that’s going on. A “customer” purchases a legitimate part from your shop and returns a counterfeit part in its place. They get a refund, and then they sell the legitimate part to someone else. Counterfeit auto parts are everywhere. You can find them on eBay, Amazon, Alibaba and Craigslist and other online markets. Some legitimate online shops are even selling a few counterfeit parts without knowing. 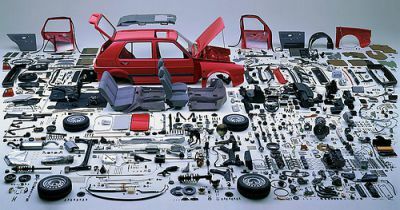 Many, if not all, major auto manufacturers offer OEM parts in high-quality packaging. A counterfeit part may turn up in a package that’s made with low-quality materials and/or printed incorrectly. If you have more of that same part on the shelf, grab one and compare its packaging to the returned part. Many OEM manufacturers print the part number, or the first section of the part number directly on the package. Counterfeiters usually print the whole part number on a sticker, so they can use one box for several different parts. Compare the returned package with a part in your inventory. Scammers don’t have a team of professional writers and proofreaders. So there may be misspellings on the package or on the instructions inside. Make sure the set of instructions matches the instructions in a legitimate package. Even just a missing sentence is a huge red flag. Some scammers are returning counterfeit parts in legitimate packages. So you should always check the part, too. Compare it to a real part in your inventory. Look for imperfections and differences in weight, color and design.